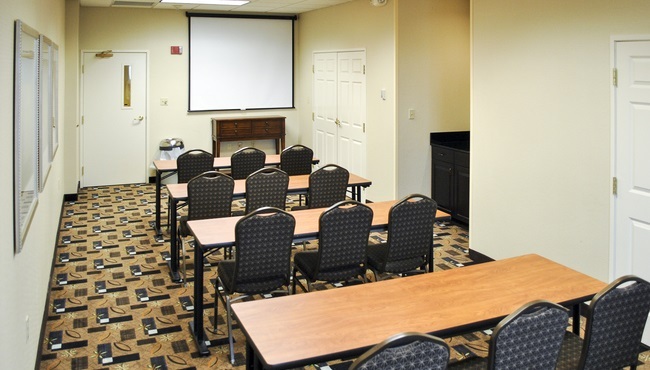 The 350-square-foot meeting room at the Country Inn & Suites, Evansville offers an excellent venue for gatherings of up to 22 guests. 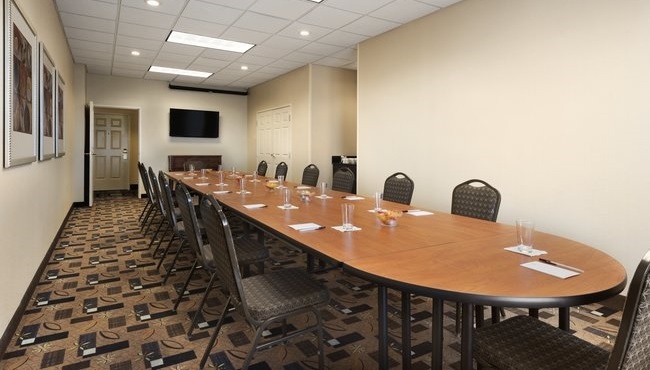 Our hotel is also conveniently close to Evansville Regional Airport (EVV), which means out-of-town guests enjoy quick commutes to the hotel after their plane lands. Present confidently with the help of a digital or LCD projector. As an added perk, our teleconferencing equipment allows clients and colleagues to participate remotely.